Three of New Hampshire’s finest guides will be making the commute to sink their picks in some of that fine Vermont Ice! It is with great pleasure that we welcome Matt Ritter, Alexa Siegel and Michael Wejchert to our list of excellent Guest Guides for 2016. 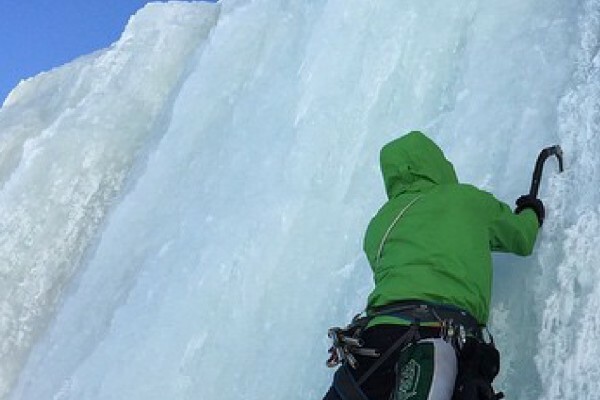 Not familiar with these New Hampshire crushers of ice ans stone, read below and choose wisely as they’ll be divulging some of the best kept secrets in winter climbing during their respected clinics. Interested in climbing with Matt. 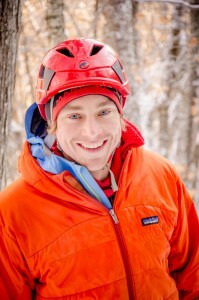 He’ll be guiding Saturday’s Intro to Mixed clinic & Sunday’s Steep Ice clinic. Alexa first discovered climbing at the Boston Rock Gym in February of 2003. The gym was completely empty due to a winter storm warning, but her dad took her anyway. From there, she dabbled in competition climbing, but soon found her fit on the granite cliffs of New Hampshire. Alexa loves all forms of climbing from sport climbing to ice and mixed climbing. She has traveled all over the United States and abroad to pursue the sport, but she is always happy to call New Hampshire home and climbs here year round. When the ice isn’t good, the skiing usually is. Alexa works as a ski patroller and climbing guide in the winter and spends most of her time teaching climbing to kids in the summer. 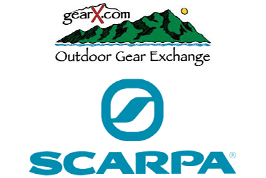 She is an AMGA Certified Single Pitch Instructor and Wilderness First Responder. Over the past several years, Alexa has made he trek to guest guide for the Smuggs Ice Bash and the response from past participants of her clinics has been overwhelming. We can’t quite figure it out. Whether it’s that charming smile or her natural teaching ability or the fact that she’s one of the strongest female climbers around and so humble about it, we just can’t say no to her annual commute to Vermont! 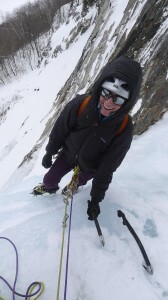 Check out a nice write-up of Alexa and partner grabbing the first ascent of the Black Dike on Cannon earlier this winter (actually October). An early all female ascent of the Black Dike! 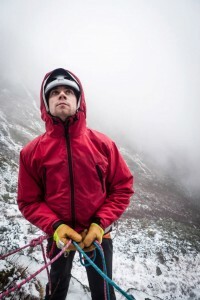 Michael likes guiding everything: from multipitch trad lines to beginner ice climbing, but he thinks his forte is probably ice climbing: getting the right instruction in the wintertime is important because it’s such a technical sport in every way. He loves the idea of starting people off on the right foot. Michael, like Alexa, just can’t get enough of Vermont Ice as he too has made the annual pilgrimage to guest guide for us for several years now. Make sure you take advantage of his wealth of knowledge and register for one of his clinics: Saturday’s Steep Ice or Sunday’s Thin Ice Techniques.